G.O.D. : What does that mean to you? Whatever your concept of divinity, you can still find a home in prayer. Celeste Yacoboni, Minister of Walking Prayer, workshop facilitator, healing arts practitioner, creator of the anthology How Do You Pray? If you pray, to whom do you pray? Is it “God”? What is your concept for God? Do you have one (or more) that you no longer embrace, have grown out of, or threw away? If this describes you, we have something in common. Like you, I was left high and dry as I explored new territory and names for the unknown. As I sat with Ultimate Reality, Ground of Being, All That Is, and many more, I was intrigued to read that over 95 percent of people believe in a higher power and over half of that percentage call it God. As I pondered the word, I was flooded with an image and the phrase Grid Of Divinity — with the acronym G.O.D. As I shared this image of the Grid of Divinity with a friend I was fascinated to hear that she too had an acronym experience of God: Grace Opening Depths. Another friend shared hers: Great Open Door. Another was Generate, Organize, Do. A conversation began and there’s no end to it. Good Old Dude really touched my heart and my sense of fun. We can keep this sweet game going — please share acronyms or inspirations in the comments! Whatever your concept of God or divinity, whether you left a major religion or never connected with one to begin with, you can still find a home in prayer. You don’t need a church, temple, mosque, or synagogue, because the prayer I’m talking about is in your own heart. 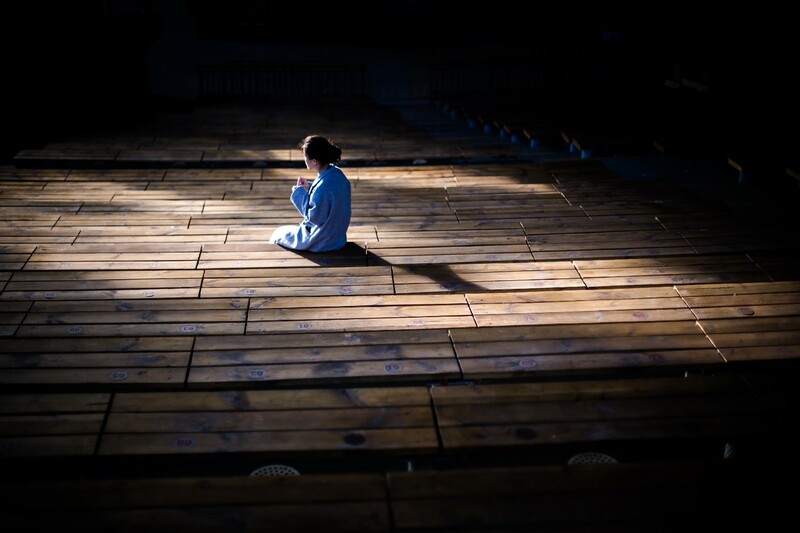 To me prayer is a connection to what is larger than myself alone, or as some say, my “small self.” The connection is with all that is, one another, the Earth, all of life and the Divine. Prayer connects us with the spiritual dimension, which is a wavelength we don’t tune into with our normal senses. It’s the dimension of intuition, grace, guidance, and epiphany. Prayer is communion with the unseen forces of the universe, the energy that spins the planets and beats our hearts. There are at least as many ways to pray as people doing the praying. We have prayers from lineage traditions thousands of years old, including meditation, yoga, qi gong, dances, chants, mantras, songs, stories, and many other practices. There were and still are prayers for everything: waking, eating, hunting, planting, harvesting, traveling, birthing children, sleeping, and dying. Prayer takes many forms in ritual and ceremony. There are also the quiet prayers that focus on the breath — the inhale and exhale, and the space in between. There are prayers that take to the streets in service and activism and often go unnoticed in the busy activities of daily life. Simple things done with awareness are prayers, communion with a greater dimension. We need each other and we need prayer more than ever, no matter the form, custom, tradition, culture, or language. Prayer speaks the universal language of the heart. Because prayer is communion with the spiritual dimension, it’s more about awareness — prayerness — than what we actually perform as prayer. Whether we sit in silence or call out for guidance, alone or in community, energy follows intention. Our prayers translate to the physical. Our prayers do touch the Earth.